Properties in Tunbridge Wells Golf Club average 4.4 out of 5 stars. Studio & balcony with tree growing through it, spiral staircase, stunning views. Property 1: Studio & balcony with tree growing through it, spiral staircase, stunning views. A peaceful ground floor apartment within our refurbished Sussex barn. 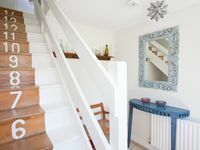 Property 2: A peaceful ground floor apartment within our refurbished Sussex barn. Brand new beautiful apartment in the centre of town. Property 17: Brand new beautiful apartment in the centre of town. 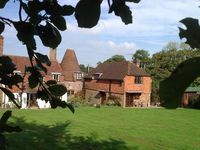 Luxury country stay near Edenbridge, Kent. Property 28: Luxury country stay near Edenbridge, Kent.